“There was so much to read for one thing and so much fine health to be pulled out of the young, breath-giving air.” ~ Nick Carraway, in The Great Gatsby. I love this picture from my Granddaddy’s photo album. To my mind, it could be Gatsby and Daisy, or better, it’s Nick Carraway and Jordan Baker, enjoying a laugh on Gatsby’s patio before dancing and drinking the night away at one of Jay’s parties designed to lure Daisy across the bay and back into his arms.There are no identifying notes on the photograph, but whoever they are, they stick with me because of the way they're dressed - his long legs and 28-inch waist, the flip of her skirt and the way her head leans into him. The kicker, though, are the feet - I have a spectacular weakness for spectator shoes - and the way they're crossed in opposite directions. “The Great Gatsby” by F. Scott Fitzgerald is, hands-down, my favorite novel, one I try to re-read every few years. Fitzgerald’s wordsmithing and narrator Nick’s observations are new to me each time I’ve read it as an adult, but I hated it the first time it was assigned to me in high school. The eyes of Dr. T.J. Eckleburg taunted me from the cover and I didn’t understand why Daisy didn’t leave brutish Tom and run off with dashing Jay. It’s one of those books, I think, that reads better once you’ve seen more of life. In other words, it’s wasted on so many teenagers. I’ve read the novel many times, seen three movie versions (I thought last year’s Leo DiCaprio/Baz Luhrman version was fantastic ~ Leo was perfect in the pink suit. ), and just last week, saw it as a play, produced by the Georgia Ensemble Theatre in historic Roswell. The production challenges – automobiles are significant to the story, and scenes that require a dock, two mansions and a pool, were neatly overcome and the actors met the challenges of the characters, as well. 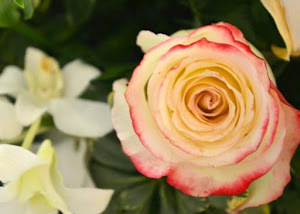 Nick’s wry humor came across more so than in other versions, and Daisy was unexpectedly sympathetic, a difficult task for a woman responsible directly for one death and indirectly for two. If you’re in Atlanta, make a date ~ it’s playing through March 16. For a book written about an opulent life in abundant times, there’s remarkably little food mentioned in “Gatsby.” Of course, there's the sandwiches and pastries that Nick serves when he invites Daisy to tea (and a clandestine meeting with her old love, Jay. ), prepared by the cook, the “demoniac Finn.” While there may not be food, there is booze ~ fountains of champagne at Gatsby’s soirees and bottles of whiskey at the Buchanan’s. 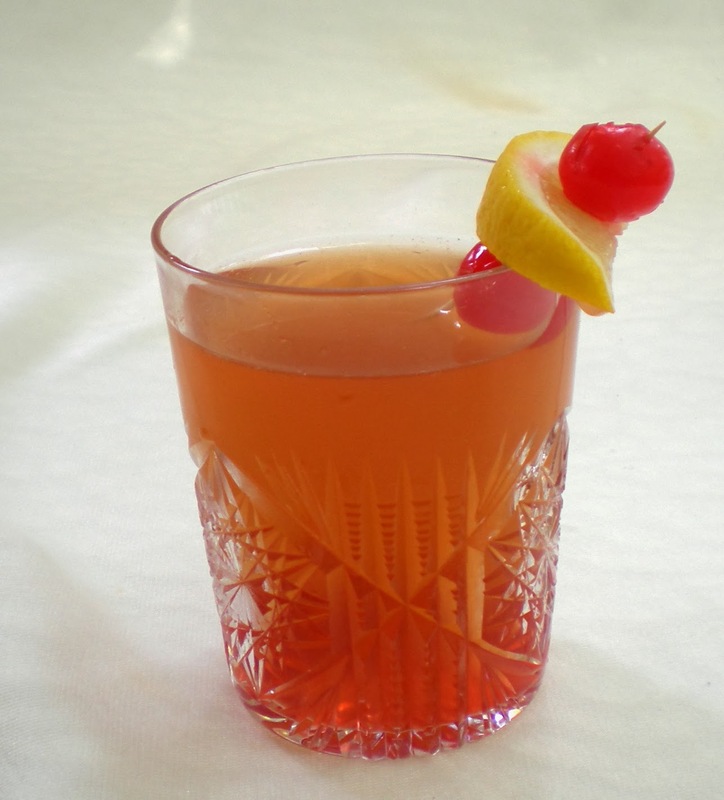 And so, to celebrate my favorite novel, here’s an old-fashioned cocktail made with peach-infused bourbon, something I make up each summer when local produce stands offer crates of sun-ripened fruit at giveaway prices. 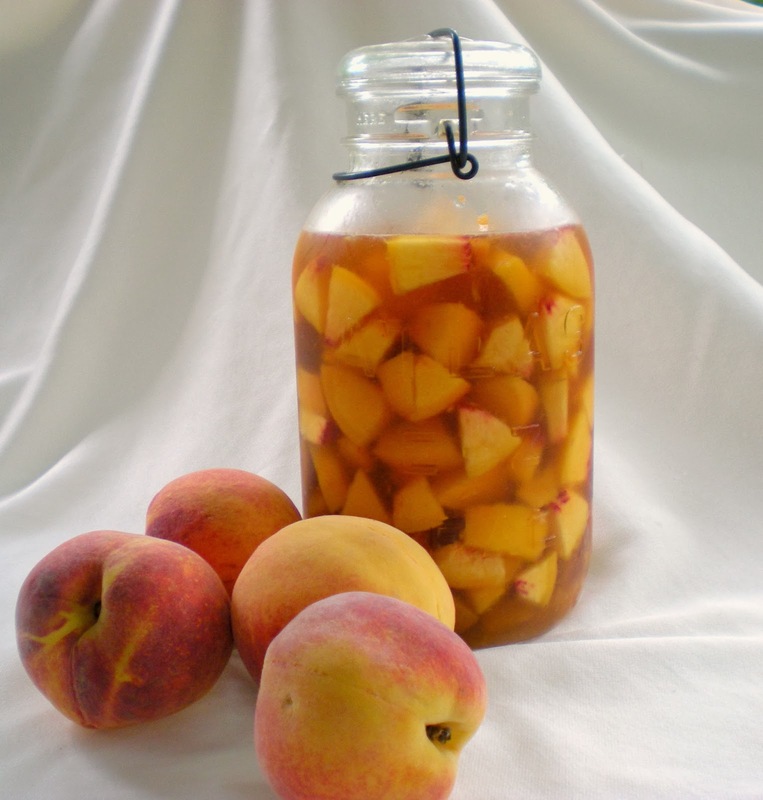 For six weeks, fresh peaches and lemon peel soak in Kentucky bourbon, the infused mixture is then strained and combined with simple syrup and aged for two more weeks. This ambrosia can be served in a myriad of ways - on its own, in cocktails, in grown-up ice cream desserts, or as a glaze for grilled meats. The mix is called Southern Succor and just like re-reading Gatsby, it gets better with age. Cheers, old sport. 1. In a large glass jar with a tight-fitting lid, place peaches, lemon zest and juice. Cover with whiskey, seal jar and place in refrigerator to steep for up to six weeks. 2. After six weeks, open jar and strain out the fruit and zest. Press lightly to get all the good stuff out, but not so much as to push the fruit into the liquid. Discard the fruit. Pour the liquid back into the jar. 3. In a saucepan, combine sugar and water and bring to a boil. When sugar dissolves, cool syrup to room temperature. Stir until the sugar dissolves, then cool to room temperature. Add the sugar syrup to the bourbon, return to the refrigerator and let age for another two weeks before using. The peachy bourbon may be between steps 1 and 2, but is still delicious in an old-fashioned, the legendary first drink to be called a "cocktail." It's sweet and fruity, and just perfect for viewing the sunset from the front porch. Joey is a mixologist and philosopher and this is his version of an old-fashioned, with the exception of the lemon - he uses orange. Because he lives in the South, he'll sometimes finish the drink with tea instead of water. 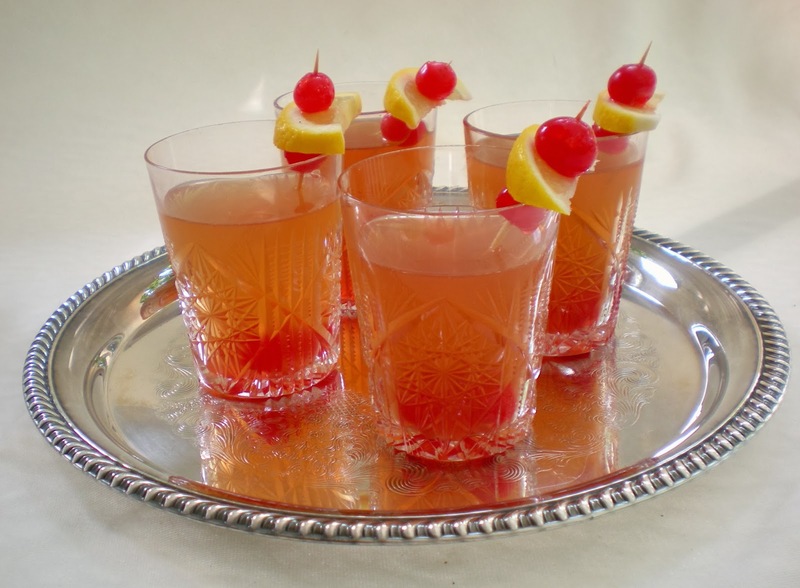 In an old-fashioned glass (a short tumbler), place maraschino cherries, a wedge of lemon and a teaspoon of sugar. Muddle. Pour 2 ounces of peach whiskey, then a splash of water. Stir and garnish with lemon and cherry. This post is part of #LetsLunch, a Twitter party featuring food writers and bloggers from around the world. Please visit these sites for more #LetsLunch stories. Text and images copyright 2014, Lucy Mercer. What a great picture! 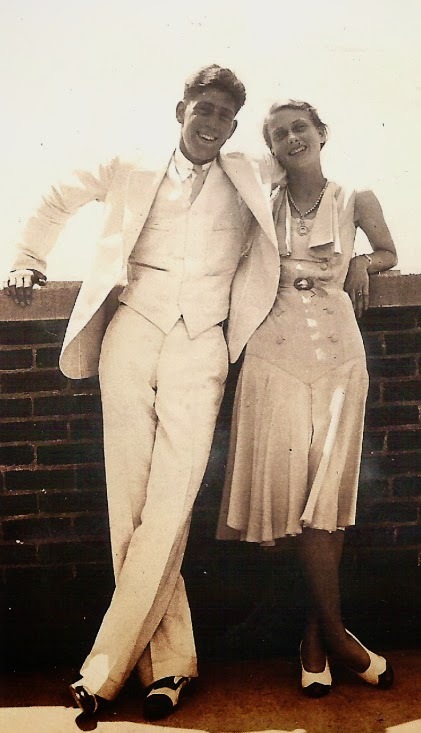 My grandparents were kids during the 20s, so the fashion in our family photos from that era is not exactly cutting edge. I have still managed never to read this book (how I got out of high school that way, I have no idea), but bourbon and peaches never go amiss. Thanks for reading, Annabelle! I love old family photos, too! Love this post, and that photo is terrific! And the cocktail recipe, too!